Diana Containerships is having an incredibly strong day in the market today. As soon as the opening bell rang, the stock started making its way to the top. Since then, we’ve seen a continuation of strong gains, only adding to the profits today. Below, we’ll talk about what we’re seeing from the stock, why, and what to watch with regard to DCIX ahead. As mentioned above, Diana Containerships is having an incredibly strong start to today’s trading session. In fact, as soon as the opening bell sounded, the stock was off to the races, quickly making it into the green. Since then, we’ve seen a continuation of upward movement, bringing the price of the stock higher and higher. At the moment (11:40), DCIX is trading at $3.35 per share after a gain of $1.29 per share or 62.62% thus far today. As usual, when I saw that DCIX was making a run for the top, I decided to do some digging to see exactly what was causing the movement. In this particular case, the pieces of the puzzle took a little while to put together, but I believe I’ve found the answer. At the end of the day, we’ve seen absolutely no fundamental news about the company today. Nonetheless, we did see something on DryShips. Early this morning, the company announced that it has achieved funding and will be entering agreements with two other shipping companies relatively soon. While this isn’t directly related to Diana Containerships, the shipping sector as a whole seems to be reacting in a positive way, even with the Baltic Dry Index down. The truth is that I’m going to be watching for a bit of a correction. At the end of the day, with the Baltic Dry Index down and nothing else specific to the shipping sector or DCIX, this is clearly a run that isn’t likely to last long. So, keep a close eye on the shipping sector as a whole. If you’re playing this run, make sure to be very cautious, exiting early enough to take a profit! 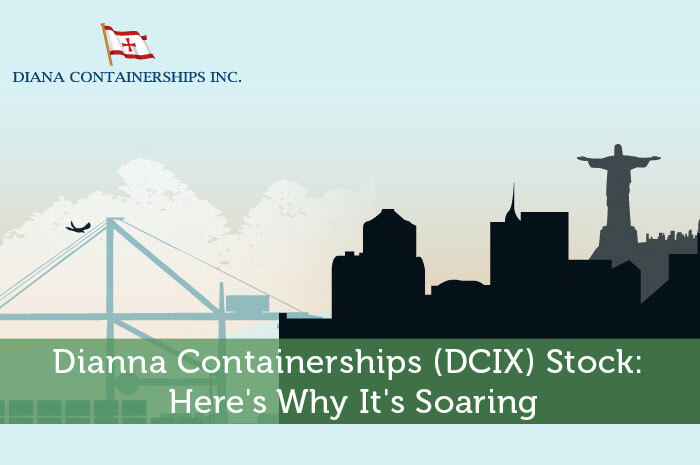 Where do you think DCIX is headed moving forward? Join the discussion in the comments below!